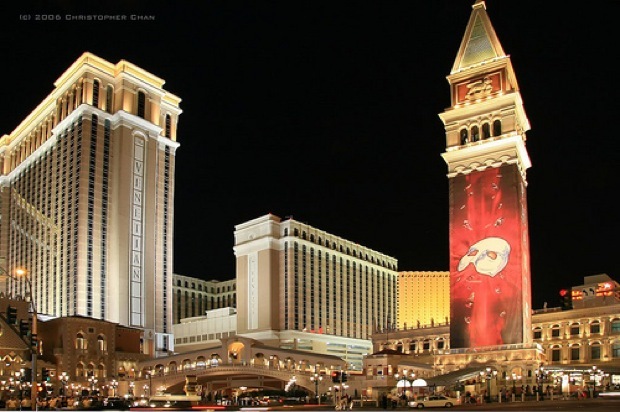 Is a premier Vegas property making a major Bush League move? Las Vegas Sands Chairman Sheldon Adelson has decided to oppose efforts to legalize web poker, a knowledgeable source tells me, dealing what may be a death blow to congressional efforts. Adelson has informed a key senator, Arizona’s Jon Kyl, as well as the American Gaming Association. Adelson has told folks that he is morally opposed to web gaming, that technology to bar minors is untested and that he believes it will be an “unnecessary distraction” in 2012, the source told me. Adelson had been lobbied by many folks on Las Vegas Boulevard South, including, I’d guess, his new best friend, Steve Wynn. Hard to see how it gets out of the House now. According to multiple Las Vegas gaming industry sources we communicate with, Adelson had been pushing for a “single platform” proposal. His desire was that all licensed operators would use the same platform the U.S., and whoever marketed best would win the most market share. However, with all of the poker industry acquisitions and alliances occurring right now, it looks like Adelson’s desired “single platform” play won’t be happening. So is this just sour grapes on Adelson’s part? The Sands is the only “premier” Vegas property that hasn’t formed some type of online poker alliance during 2011. Wynn Resorts partnered with PokerStars before Black Friday, and (one would think) would not be opposed to finding a similar alliance in the future. The Fertittas first partnered with Full Tilt, then later acquired CybertArts. MGM and Boyd Gaming aligned with bwin.party. Caesars is aligning with 888 (and IPO’ing as well). That leaves Adelson’s Sands blowing in the wind. If the Vegas Sun blog post is accurate, then either Adelson is making a leverage play to get his way, or he’s willing to submarine tens of thousands of domestic jobs and tax revenues because the Sands has fallen behind their competitors. Or both. Ultimately, we don’t think it’ll matter. There’s too much momentum with all of the other major brick & mortars right now for one man (albeit and extremely influential one) to derail the efforts. In the end, it seems like Adelson’s opposition is just inconsequential sour grapes.